Pilot whales are large, robust animals with a bulbous head and no discernible beak. They are a member of the dolphin household, and are 2nd just to the killer whale in size. These smart marine mammals form incredibly cohesive social bonds; stranding of numerous hundred pilot whales are not uncommon, and pod members will often stick close together and protect the matriarch of the group. The pilot whale got its name due to a belief that the pod always follows a single leader, which although not clinically proven, is typically thought to be the reason for these terrible mass strandings. The pilot whale can dive as deep as 500 meters when searching for food, and has a diet plan consisting primarily of squid, in addition to fish, octopus and crustaceans such as shrimp. Figures for pilot whales are unknown, and even though they are diminished in some locations, pilot whales are ruled out to be endangered. There are likely to be almost a million long-finned pilot whales and a minimum of 200,000 short-finned pilot whales worldwide. 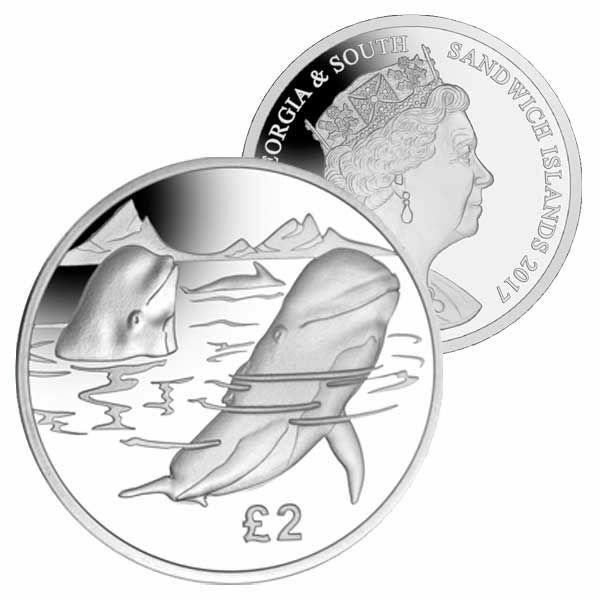 The design on the coin shows a Pilot Whale in the foreground in the Antarctic waters with the head of a 2nd whale appearing above the water. 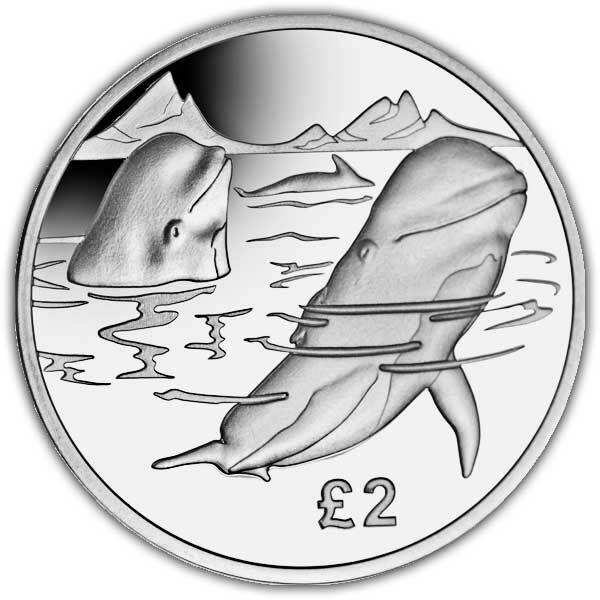 The top of a third whale can be seen simply above the waterline in the background. 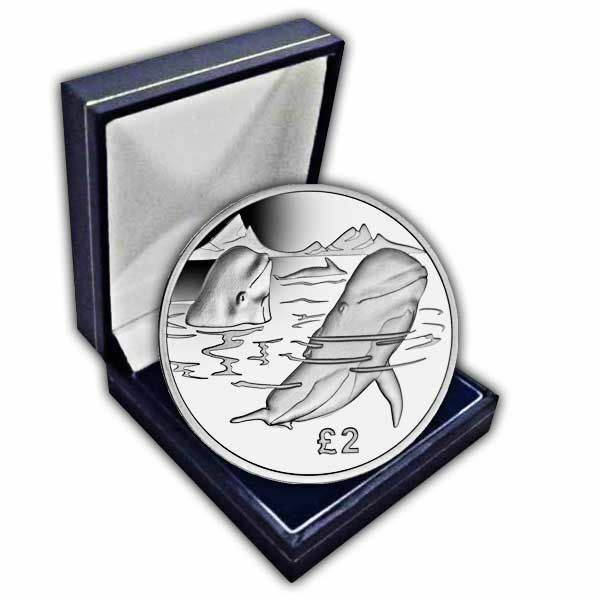 The obverse of each coin features the brand-new effigy style of Her Majesty Queen Elizabeth II exclusively by Pobjoy Mint.